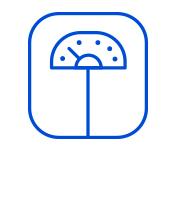 Antag Therapeutics is based on years of collaborative research from the University of Copenhagen with the focus on novel treatments for dietary-related metabolic diseases. The research teams of professors Mette Rosenkilde and Jens Juul Holst have discovered naturally occurring therapeutic peptides that are being investigated in several human studies. The global prevalence of dietary-related metabolic diseases (obesity, type 2 diabetes mellitus, and fatty liver) is enormous and continues to increase due to our excessive caloric intake, inactive lifestyle, and the lack of effective treatment. Obesity is a disease that occurs when body fat proportions increase dramatically and results in a body mass index over 30. According to WHO, more than 600 million people worldwide suffered from obesity in 2014, and the number increases every year. Obesity causes physiological stress, which leads to many complications and secondary diseases including type 2 diabetes, fatty liver disease, stroke, coronary artery disease, cancer and many more. Unfortunately, dieting and exercise often fail and there are only limited pharmacological treatment possibilities, often leading patients to surgical options. Diabetes is a progressive metabolic disease characterized by insulin deficiency and/or resistance and excess glucagon release leading to the development of hyperglycemia. The complications of diabetes are serious and include damage to multiple organ systems particularly kidneys, eyes, nerves, and blood vessels. Since 1980, the prevalence of diabetes has quadrupled, and in 2014 more than 420 million people suffered from diabetes worldwide according to WHO. Currently available treatments have many drawbacks, including tolerability issues, weight gain, and loss of efficacy over time. Non-Alcoholic Fatty Liver Disease (NAFLD) develops due to a chronic accumulation of fat in liver cells. 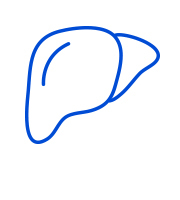 If progressed, the condition becomes Non-Alcoholic Steatohepatitis (NASH); a disease characterized by inflammation and fibrosis and can lead to cirrhosis and liver cancer (hepatocellular carcinoma). Between 20-30% of adults in Western countries have NAFLD and its prevalence increases to 70-90% among people who suffer from obesity or diabetes. Currently, no specific therapies for NAFLD/NASH exist. Our mission is to develop first-in-class peptide drugs for the treatment of dietary-related metabolic diseases. Our drugs are based on a novel, effective, naturally occurring antagonist that modulates fat deposition and dysregulation of glycemia in diabetic patients. Alexander has led the financing and commercialization aspects of the project since 2014. He is a co-inventor of the company’s technology and both his PhD and post-doc work have dealt with the development and characterization of peptide based drugs. 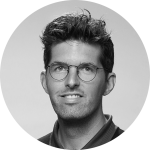 Alexander worked as a consultant within the pharmaceutical industry, before returning to the University of Copenhagen to concentrate on founding Antag Therapeutics and develop our technology. 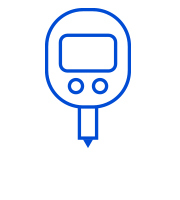 Anker has extensive experience from business and corporate development as well as R&D in key therapeutic areas including diabetes. 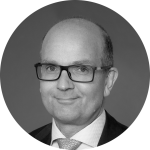 He has a broad international network and experience, and has led successful mergers and acquisitions within biotech, venture investments and licensing. Following an initial career in academia, his background includes biotech start-ups, large biotech and big pharma. 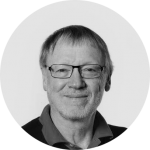 Professor Jens J. Holst is one of the leading experts in the physiology of peptide hormones and discovered the insulin-stimulating hormone, GLP-1. His academic career includes around 1,200 publications and according to Lab Times, he was the most cited (living) physiologist globally between 1996-2006. Kirsten Drejer has 30 years of experience in the pharmaceutical industry. She co-founded Symphogen back in 2000 and was the CEO for 16 years. Before founding Symphogen, Kirsten held several scientific and managerial positions at Novo Nordisk, including four years as Director of Diabetes Discovery. 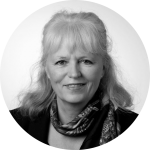 In addition to her service on Symphogen’s board of directors, Kirsten is also a member of the board of directors of Vækstfonden, Bioneer and Lyhne & Co.
Emmanuelle is an Investment Director at Novo Seeds. She serves on the Boards of Corwave, MinervaX, Pcovery, Adenium Biotech, Inthera Bioscience AG, and Avilex. Emmanuelle has 10 years of experience in venture capital investment. 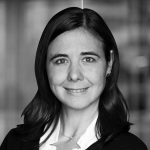 Prior joining Novo Seeds, Emmanuelle was Partner Life Sciences at Auriga Partners, and from 2007 until 2014, she was part of Omnes capital (formerly Crédit Agricole Private Equity) life sciences team. 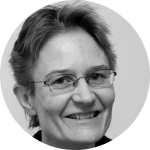 Professor Mette M. Rosenkilde is an expert in understanding the basic and translational properties of G protein-coupled receptors (GPCRs) and the development of drugs that target these. From basic pharmacodynamics properties in vitro and pharmacokinetic optimization of ligands incl. animal tests to in vivo use in humans. She has multiple patents under her belt from discovering and developing drugs targeting GPCRs.